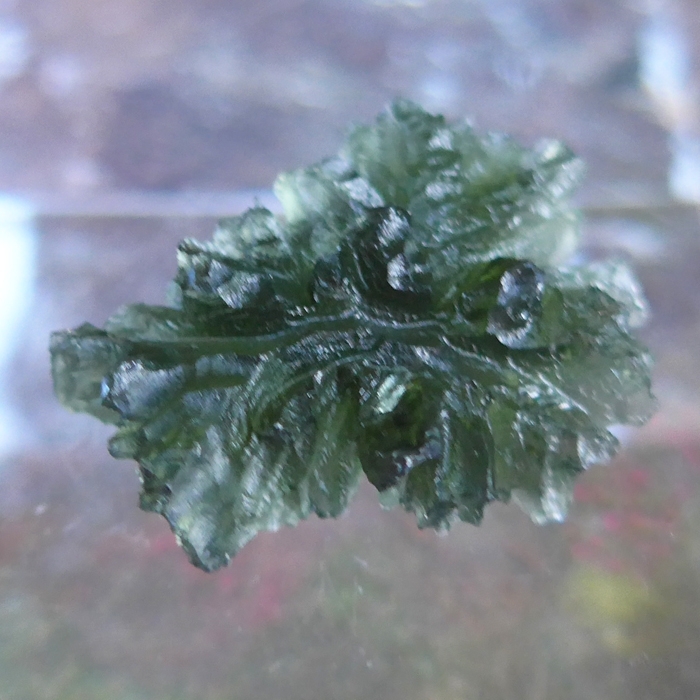 Dimensions (HxWxD): 1.25" x 0.95" x 0.45"
This AAA Besednice Moldavite Specimen is a 32 carat museum grade AAA specimen of natural Besednice moldavite from the Czech Republic, which we obtained from the collection of Robert Simmons of Heaven & Earth and comes complete with a certificate of authenticity from Robert himself. 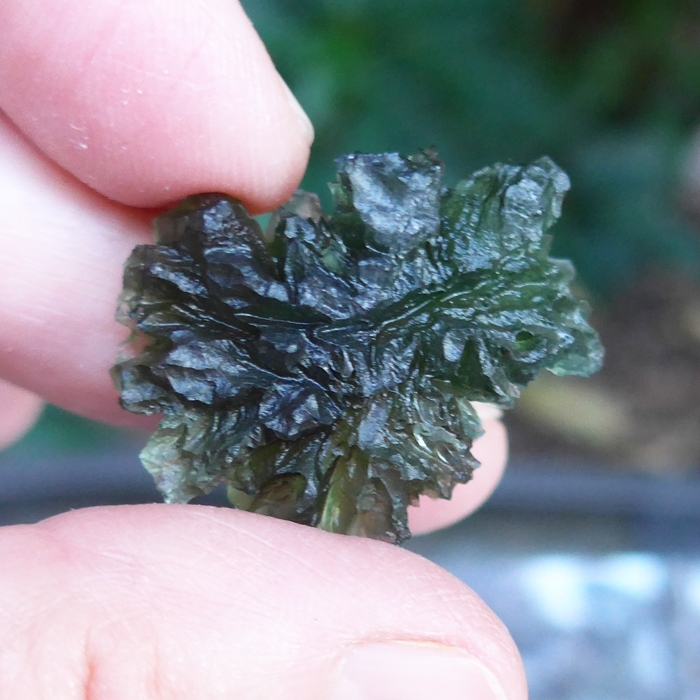 This Besednice Moldavite material is hard to obtain in today's marketplace. We purchased this lot many years back so that is the only reason we still have some available to you! 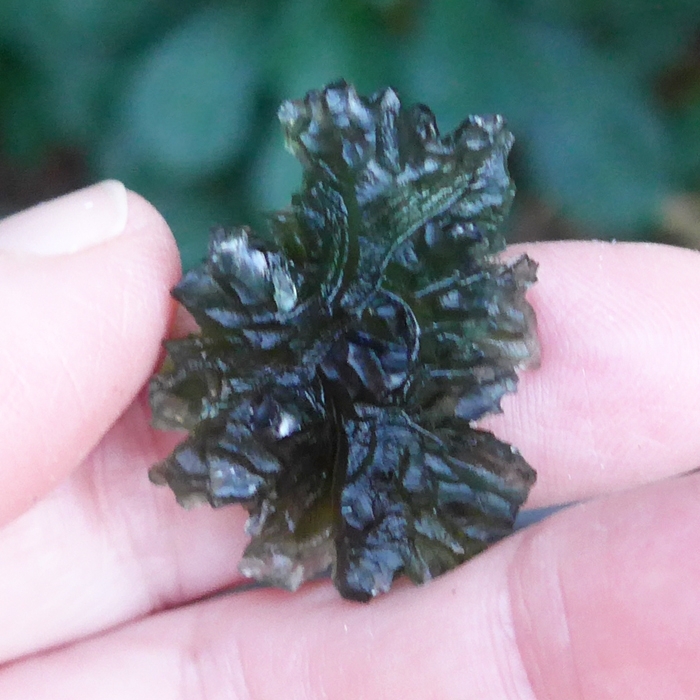 Like other Besednice specimens this beautiful serrated Moldavite Leaf has a complex surface, with lacy folds and grooves that give it a flower-like appearance. 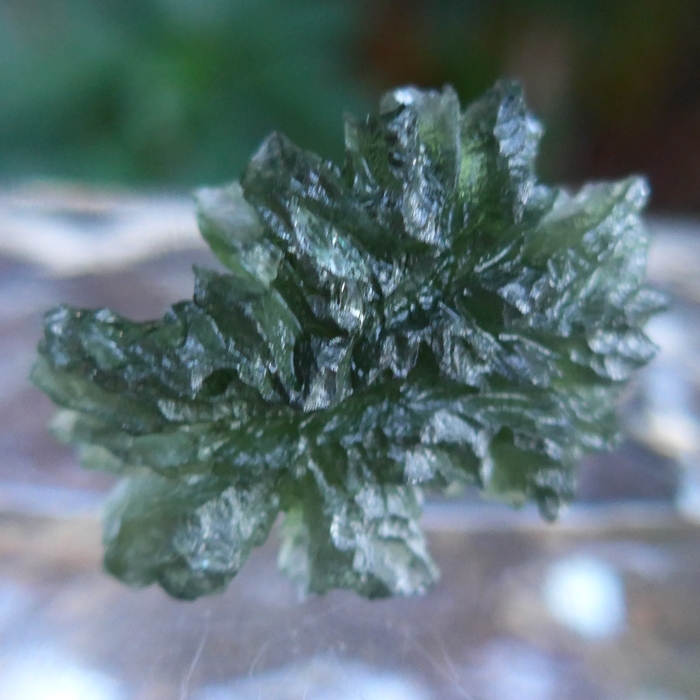 It is the perfect size to hold in the hand during meditation or for display on an altar or tabletop.